Our marketing team can help keep your dental practice's marketing on track. Marketing and maintaining your dental website can be hard work but we can help. Our team can assist with keeping high-quality content on your website, updating regularly and keeping it fresh, which will make your business known and provide you with the means to build a strong presence in the online market. With the right tools, your website will attract more visitors, bring new patients, and solidify relationships with current ones. We can give you information on who's visiting your website, how long they're staying, and whether or not they actually find what they were looking for. 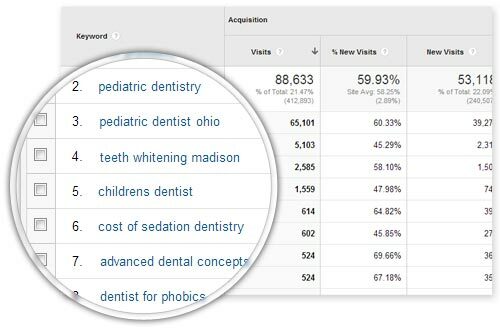 With this knowledge, we can work on tailoring your site towards a particular demographic, helping your practice get more patients. We cover all aspects of online marketing. Pay-per-click is perfect for businesses who need traffic now. Today, flexible platforms allow businesses to acquire instant traffic while spending only what you can afford. This allows growing business to see immediate results from their marketing spend. Another tool we use are keywords because they are the foundation of an SEO campaign. Keyword research is the building blocks for your sites optimization blueprint, thus our initial research done thoroughly calibrates your campaign for optimal results. Targeting your keywords based on search volume and relevancy allows us to give your competitors a run for their money, or carve out a comfortable niche in your specified industry. Local marketing is one of the most important factors for success. But local marketing must be correctly utilized to bring in the most revenue possible. We advertise your business as you would a newspaper ad and try to attract people who are truly interested. After all, there's no point in trying to sell something to a person who can't actually buy it. We offer quality printing for everything from buisness cards to banners. 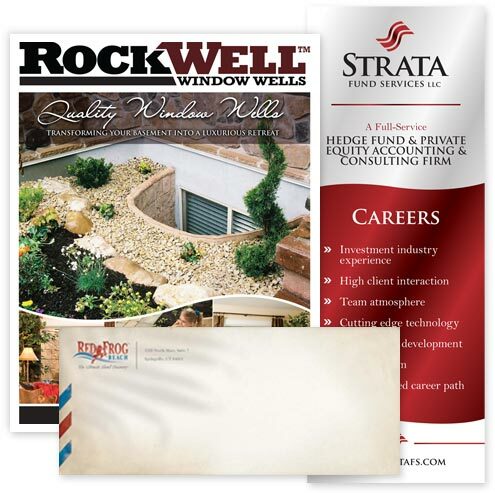 It's important to establish brand identity and one of the easiest ways to do that is through print marketing. Infogenix designers can take the style of your logo and/or website and create custom products such as business cards, stationery and letterheads, product packaging, and anything else your business might need. Creating a solid brand identity conveys both purpose and ownership to consumers which generates trust and makes them more likely to purchase from you rather than your competitors.